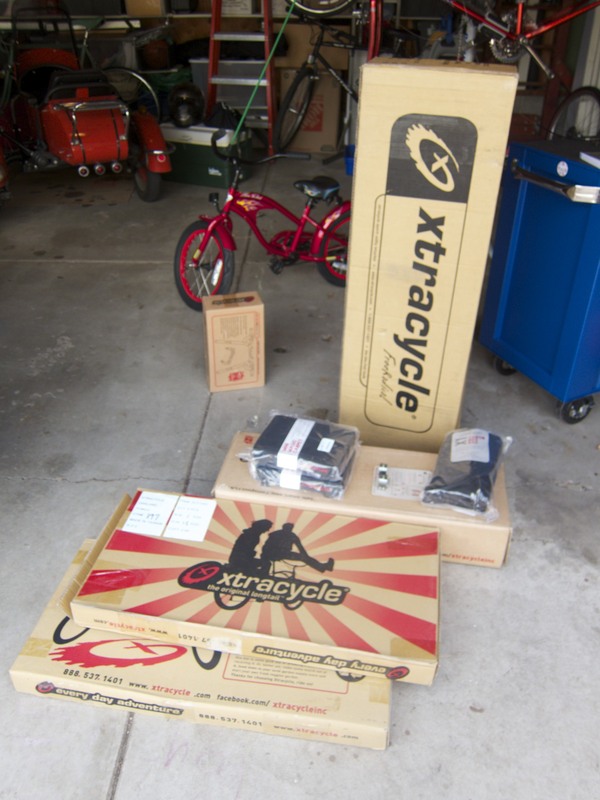 This labor day weekend I am celebrating the completion of a labor of love…specifically the conversion of my Trek 950 mountian bike, which I have owned since it was new in 1995, into a Xtracycle. It took me about a day to get the whole thing put together and another few hours on either side to tear down the bike and fine tune the setup, I’m sure I will be tweaking it as I go but the build is essentially complete and it is just fine tuning from here on out. Later today I will put the kids on it for a test cruise around the lakes and then maybe go do some shopping to test the carrying capacity. The full family kit version that I bought came in 5 boxes with a few extra parts on top. The printed directions in the box just cover the basic rack but the other parts are pretty intuitive and the whole thing is in general very well designed and seems to have great build and finish quality. On the first ride around the block with 4 year old Finn on the back it felt really stable, Adding 80 pound Cayleigh to the equation made it just slightly more difficult to handle but still surprisingly stable and easy to pedal and maneuver. 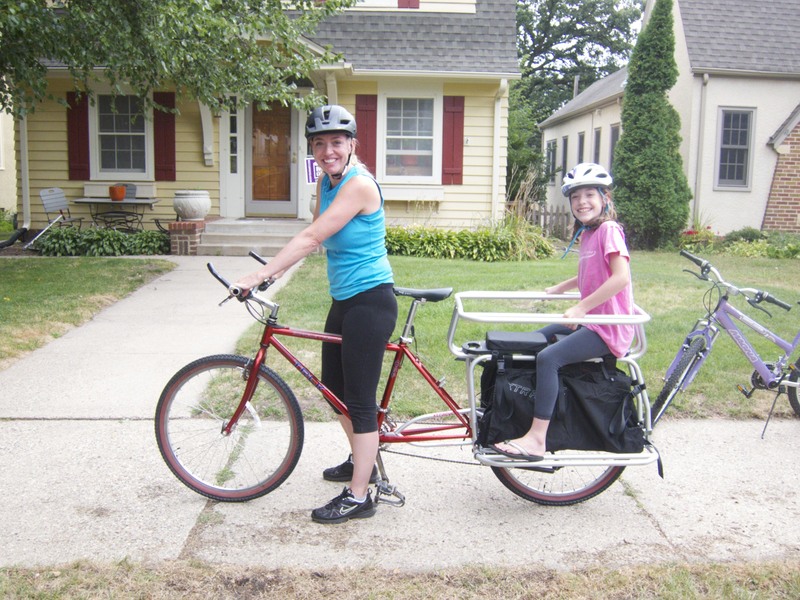 Beth had no problems riding it around the block with Cayleigh on the back, which is great since it will be a dual driver, multi-use, sport utility bike that should hopefully eliminate the need to take the beastly Suburban on short trips. We’ll stay fit, save money, help the environment and ease traffic congestion in our neighborhood.